A montage of highlights of the day! 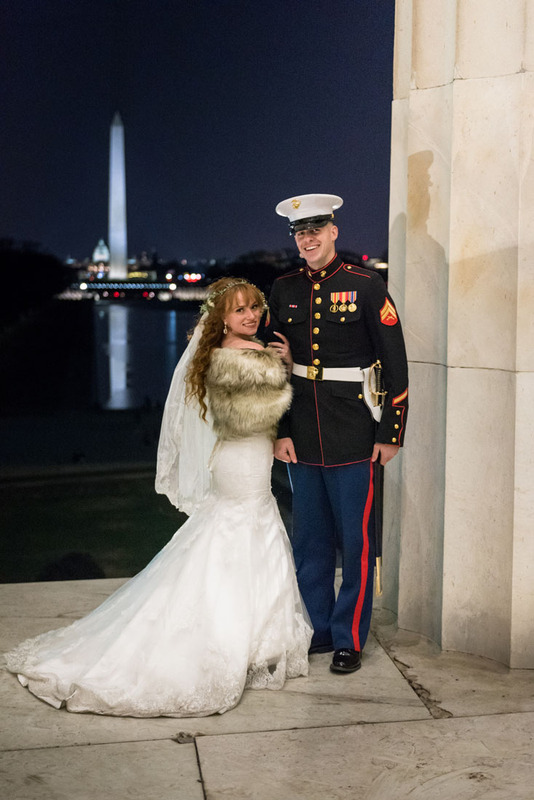 Beauty and Honor: A Quantico Wedding is the stuff of magic, legend and fairytales. 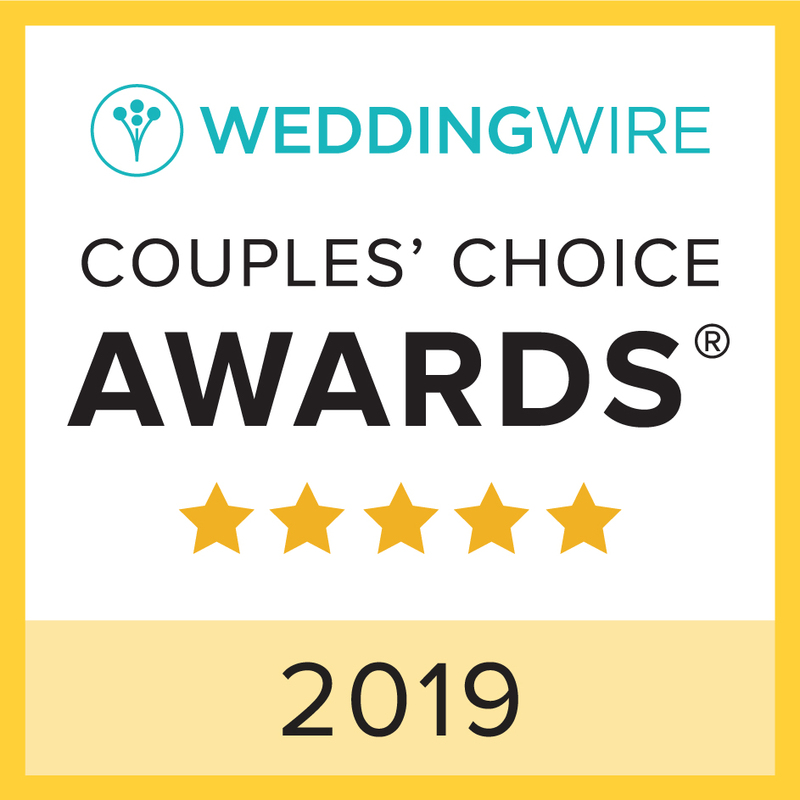 This wedding came to us via personal recommendation. This often creates a bond of trust with couples. It also allows the planning & details to come at a quicker pace. Which is good because when the reached out to us there were barely 80 days until the wedding. Dakotah and Ben were both quite busy. Dakotah was covered up with school and Ben with military duties. But they knew what they wanted and they were focused on the important parts – mostly love, family & close friends. Getting Ready for a U.S. Marine wedding! The wedding took place on the grounds of The National Museum of The Marines Corps at the Semper Fidelis Memorial Chapel. As a photographer I was pumped to be on the grounds and feel all the patriotism you might expect at such a place. The day started with the ladies getting dolled up. This wedding was all about family so Dakotah's bridesmaids were her sisters. 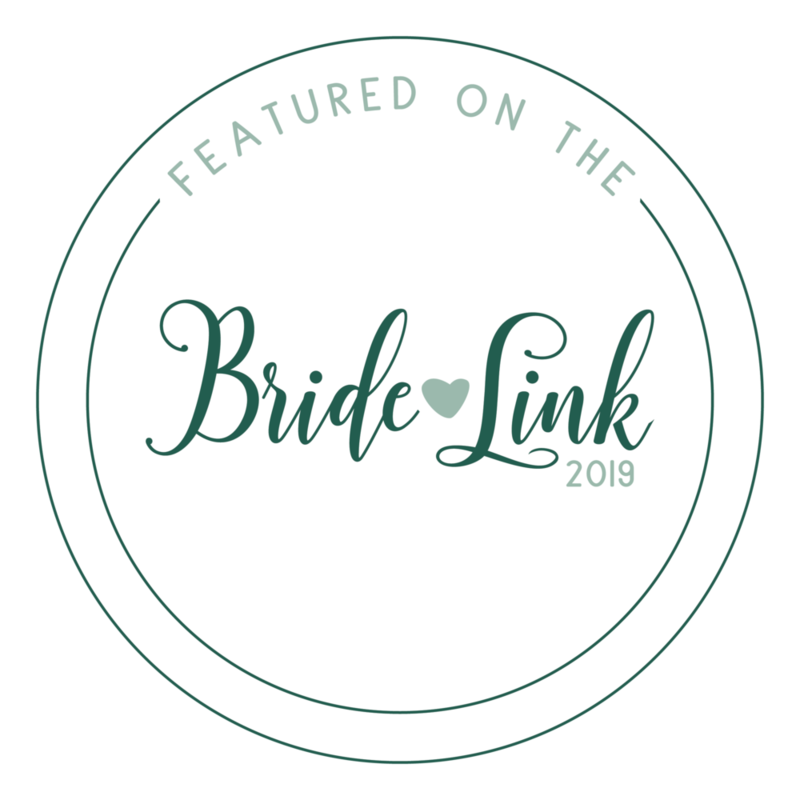 Once at the Chapel, the groomsmen and additional Marine Corps rehearsed for the wedding recessional with raised Mameluke Sabers. I cannot overstate the feeling of patriotism I felt in the presence of these men. Even as I write this I am overwhelmed in memories of the day. Ben, third from the left, with the other Marines that would provide raised sabres for the recession. Marines with sabres raised. Ben at attention. Practice makes perfect! Dakotah wanted a special moment with her father. She chose her “dress reveal” in the chapel. Her father, Colonel Bellione, was quite certain he wouldn’t cry. We hear this often from fathers of the bride. Shortly thereafter the waterworks flow. Dakotah's dad’s was no exception. The dress was perfect! Dakotah and her father were as ready as they could be. Dakotah's father has no idea how fast he will tear up. He's strong now. Wait for it . . . tears are coming! Both reached for tissues. This a very tender moment. A tender embrace between dad & Dakotah. If there was a doubt about the tears, check out dad's eyes. He was barely holding it together. Before the guests arrived Ben and Dakotah wanted to spend a few minutes together without him seeing her. We chose a blindfold and the corner of the chapel to put them together without the risk of him seeing her. They both wanted him to first see her as she came down the aisle. Ben, with his blindfold, was more nervous than he let on. Dakotah was playful. They couldn't see each other, but holding hands helped them both relax and let out some nerves. The next step was to get the bride hidden as guests began to arrive. Dakotah had a few minutes with her father. And Ben had a prayer with his father and brother. One last photo before the ceremony starts. A word of prayer to set the tone. The ceremony was very intimate and beautiful. 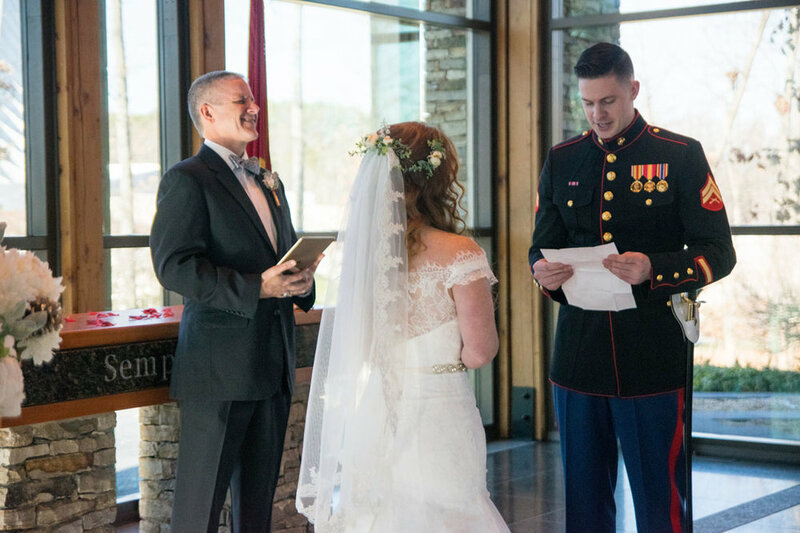 All the glass in he Semper Fidelis Chapel made the wedding feel spacious but intimate. 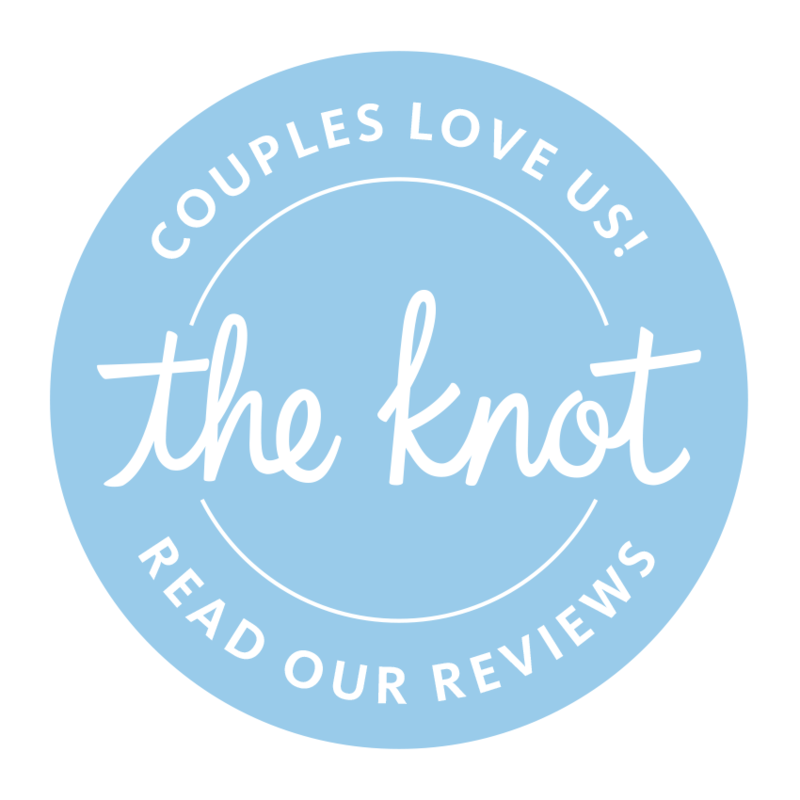 Ben and Dakotah read to each other, exchanged rings and made it official with a kiss!! Colonel Bellione presents his daughter to start the ceremony. Love this shot of one the marine's cover! 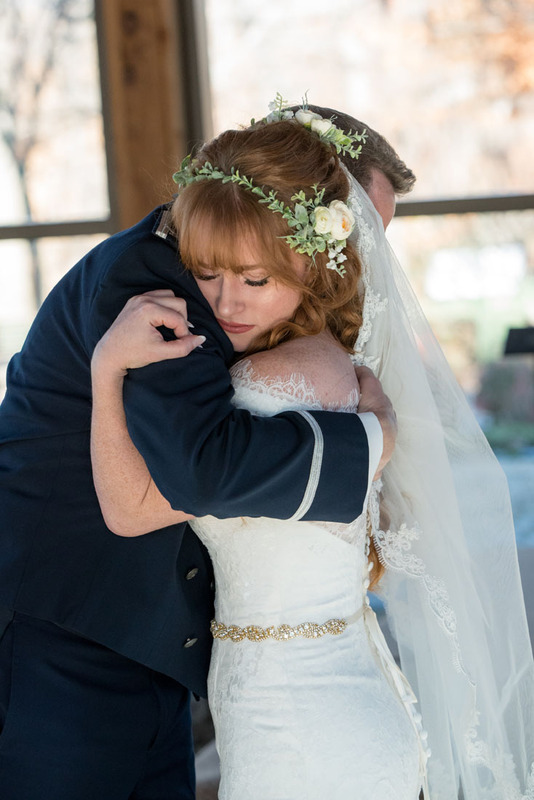 Military weddings are very special. I love the way Dakotah looks at Ben with so much conviction and love. Ben's father was the officiant. He's so proud of his son. After the ceremony, the Marines lined up for the recession out of the chapel. Each Marine was statuesque and as chiseled as you might imagine. Dakotah & Ben waited for their families to have the perfect view. Family and military are very intertwined in them. As the couple passed under the sabres, each Marine slowly lowered his saber to signal the path back is not an option. The pageantry of the moment was impressive! Sabers raised . . . let's do this! Dakotah was beginning to relax. For her, the stress was pretty much over. For Ben, it was different. He is in uniform with other officers watching. There are expectations; reserved demeanor & Marine decorum. 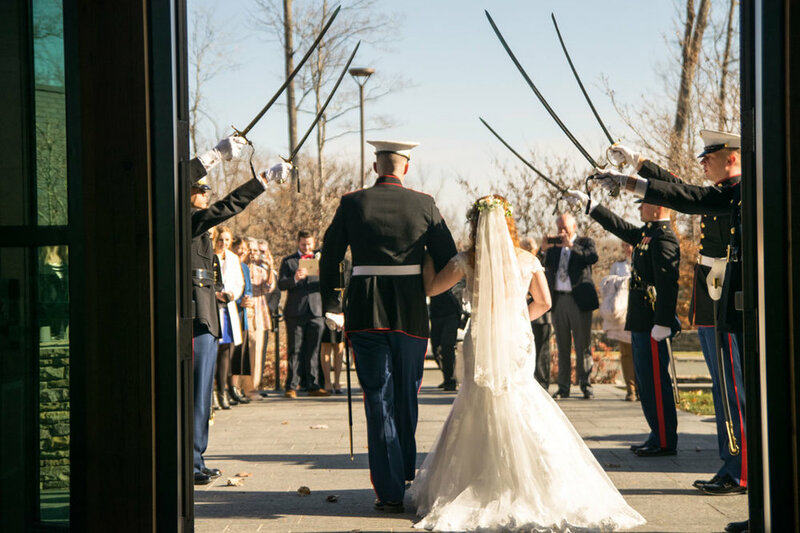 As the couple passed, each Marine slowly lowered his saber to close the path behind them. "The Corp requests a kiss!" the Commander ordered as he put his saber out to stop the couple. "WELCOME TO THE CORP, MA'AM!" as his saber gently tapped her behind. I love her reaction! Just as they finished the ordered kiss, the same Marine said, “Welcome to The Corp, ma’am!” and promptly tapped her backside with his saber. That is the part of the Marine decorum I like! And it was one of the highlights of the day!!! Red, white & blue . . . Air Force, Marines, bride, sisters and little brother too! Next we headed to a private area upstairs at the National Museum of The Marines. This place is impressive and full of great exhibits. The reception dinner was served and toasts were made. Cake cutting with Ben’s saber was super fun. 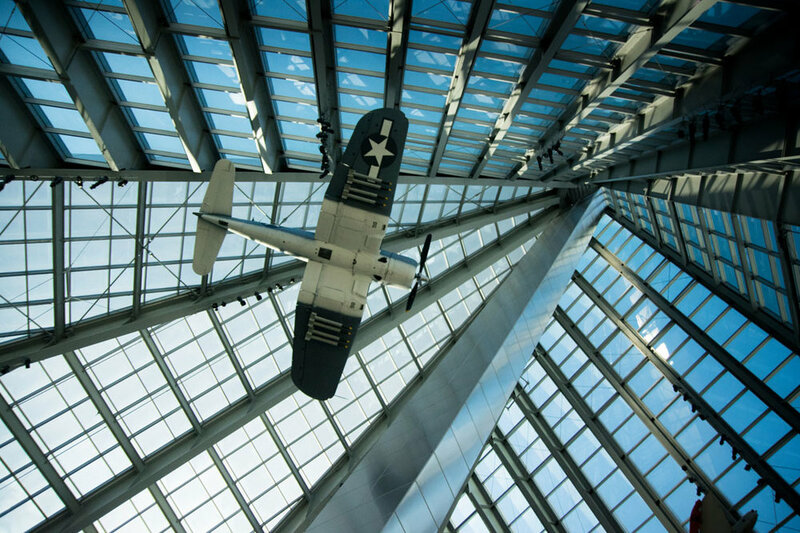 Planes hang from the vaulted structure and one feels to power of the U.S. Marines. Families with Ben & Dakotah - ALL SMILES!!! Cutting a cake with a Marine Saber - super cool!!! As the party reception wound down we took everyone for a group shot. These are important moments with the closest of family and friends. We always recommend a group photo. Super fun group shot!! I love Ben's mother's reaction!!! Then everyone lined up just outside the main entrance for a bubble send off. I love all the red, white and blue. Everyone is blowing bubbles as hard as they can! The best photo of the wedding! As the couple made their way to their car, they gave me the one of the best moments of my year. Ben scooped up a barefoot Dakotah and all I could hear in my head was my wife’s suggestion from the day before. “We got to get the Officer and a gentleman” shot. I don’t like to over direct. I like to let the moments unfold as they will. This is my favorite image from their wedding. An officer and a gentleman . . . Ben swept Dakotah off her bare feet! Dakotah & Ben at the corner of the Lincoln Memorial with the Washington Monument beyond. And on and on and on. Nothing but kind words. And patriotism; lots of patriotism. 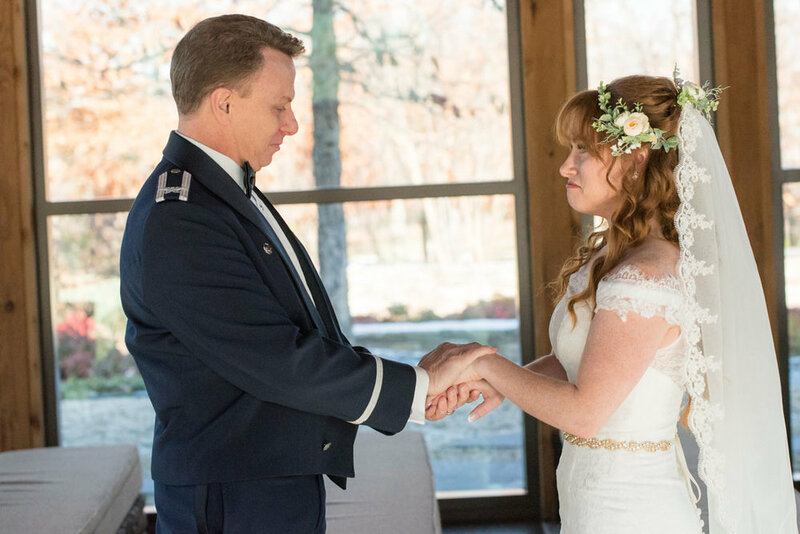 And that’s how we spent a day of beauty and honor: a Quantico wedding.